When I first joined YCCC, I was very worried about how far I could go in the early childhood education (ECE) industry as it is traditionally perceived as a female-dominated arena. After having practicums at three different ECE settings, I have come to realise that male ECE teachers actually have a lot to offer as they are rarely seen in kindergartens. 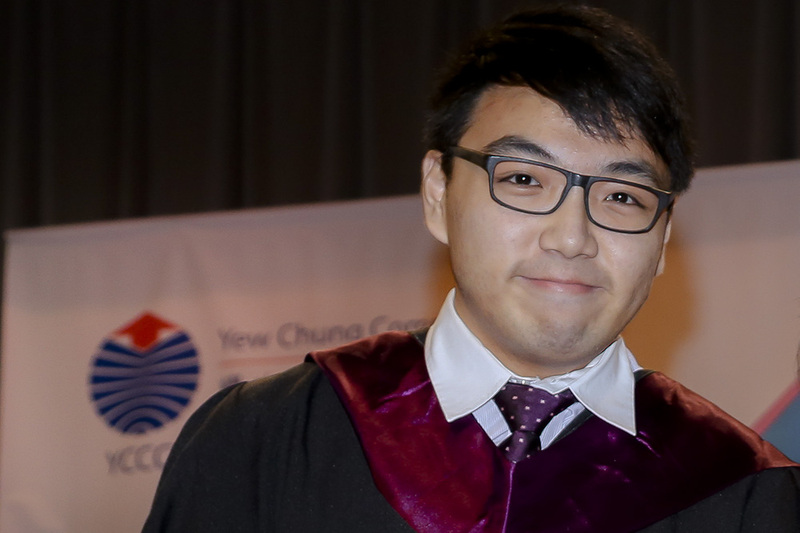 My two-year study at YCCC have really strengthened my professional knowledge and skills in ECE, as well as English proficiency. Besides, the College has also equipped me with knowledge and skills relating to special education needs. With such a background, I can apply my knowledge and skills on work. Such experience and exposure are invaluable for my personal growth and career development in the future. I am so pleased for being able to work at Yew Chung International School through the “Teachers of Tomorrow” scheme, a scheme exclusive to YCCC graduates.